Lonely Planet's travel experts have recommended Ethiopia as one of the world’s top destinations for next year in LONELY PLANET’S BEST IN TRAVEL 2017. "With its own calendar (where else can you get 13 months of sunshine? ), timekeeping, script, language, cuisine, church and coffee, Ethiopia is as exotic as countries come. And whether you’re trekking through the Simien Mountains to witness wildlife that roams nowhere else on Earth, climbing to a church carved into a remote cliff face in Tigray or boating across the serene waters of Lake Tana to visit an age-old monastery, you’ll be overwhelmed by the beauty of the landscape. In 2017 new airline links will make the country more accessible than ever, so be one of the first to hop on board." 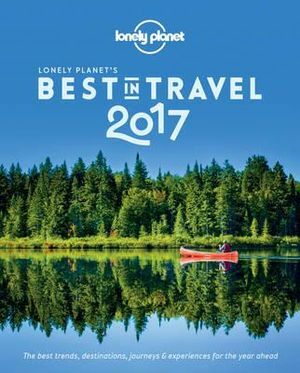 Lonely Planet's BEST IN TRAVEL recommendations are drawn from hundreds of ideas submitted by Lonely Planet’s staff, authors and community of travellers. Their suggestions are then refined by a panel of in-house travel experts. Lonely Planet’s focus is on the merits of each destination and the unique experiences they offer travellers.